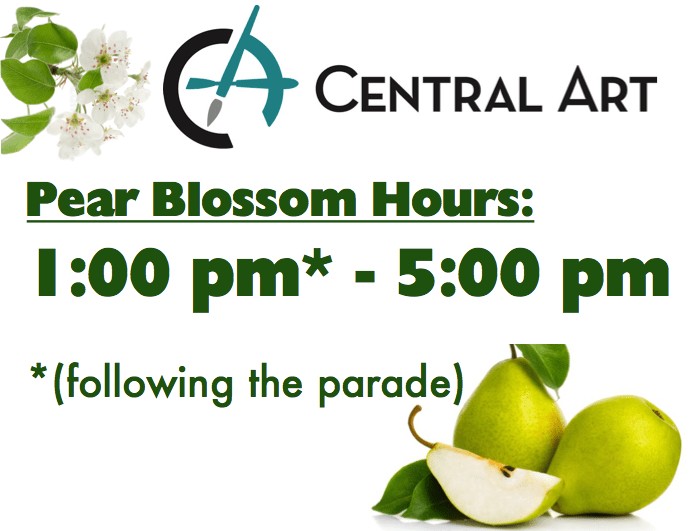 Central Art Supply Pear Blossom Hours - Art Matters! Come For The Parade, Stay For The Artistic Inspiration! Come for the pears, stay and shop for art supply wares! Stop by Central Art this Saturday, April 13th – We’ll be open between 1:00pm and 5:00pm and ready to help you find what you need to create your next masterpiece!